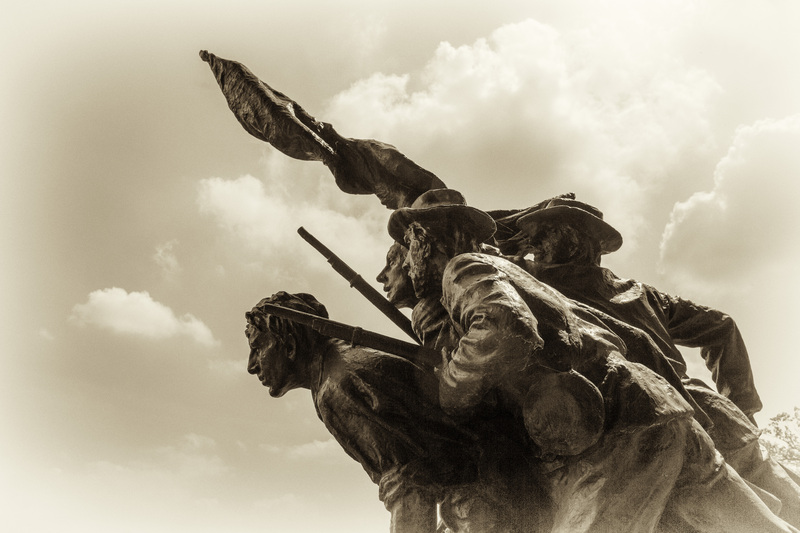 Surrounded by dogwood trees (the North Carolina state tree), the monument features figures of North Carolina infantrymen advancing during Pickett’s Charge, where fifteen infantry regiments from North Carolina participated and suffered heavy casualties. One man kneels injured on the ground, pointing towards the enemy with his proper left hand while two men wield guns and look forward. 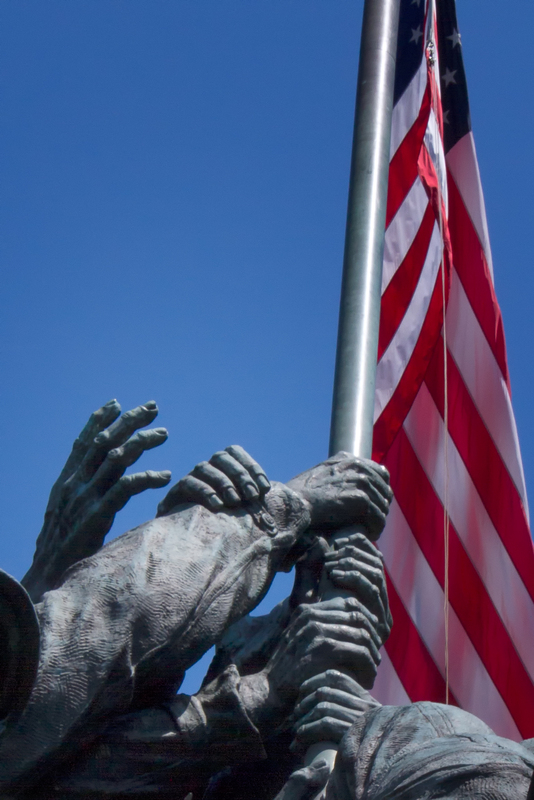 A fourth man holds a flag in both hands as he glances forward. 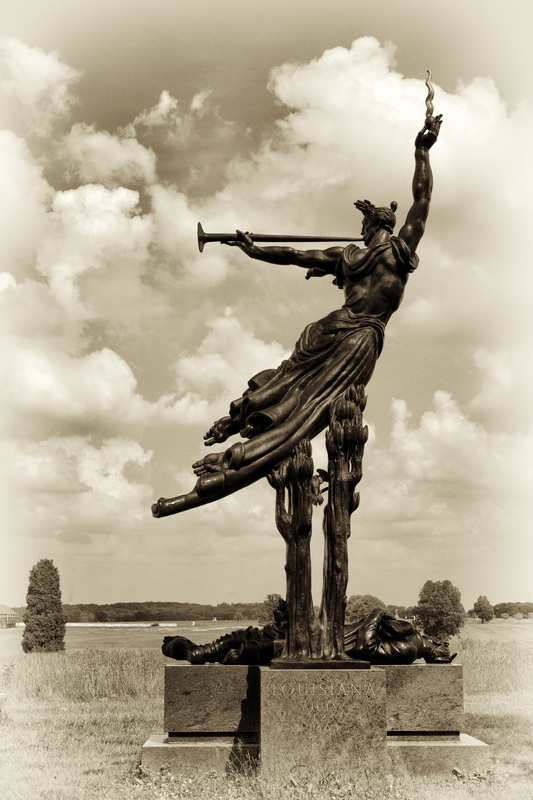 The North Carolina Monument is my favorite in Gettysburg. To me it best depicts the feeling of the Southern soldiers as they faced the onslaught of the Union guns during Pickett’s Charge. It sends shivers through my body every time I visit. This battle fought 152 years ago just prior to Independence Day, marked the turn of the war that kept our Country united. 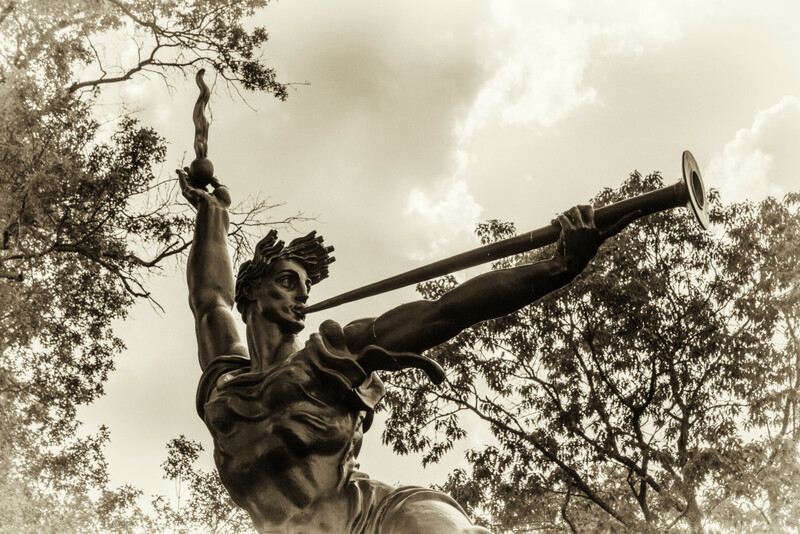 This entry was posted in B&W Photography, Sculptures and tagged Civil War, Gettysburg, North Carolina Memorial, sculptures on July 5, 2015 by kgrafphoto. It was an extremely bright day. Light was blasting through the gaps in the leaf canopy. It was difficult to get a decent exposure. My color images looked terrible. But it was a good day for B&W. 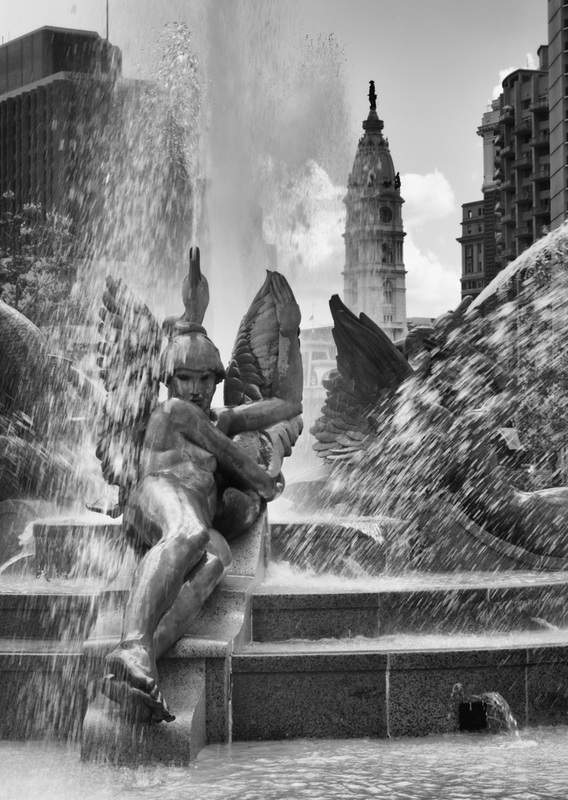 This entry was posted in B&W Photography, Sculptures and tagged Philadelphia, sculptures on June 7, 2014 by kgrafphoto. 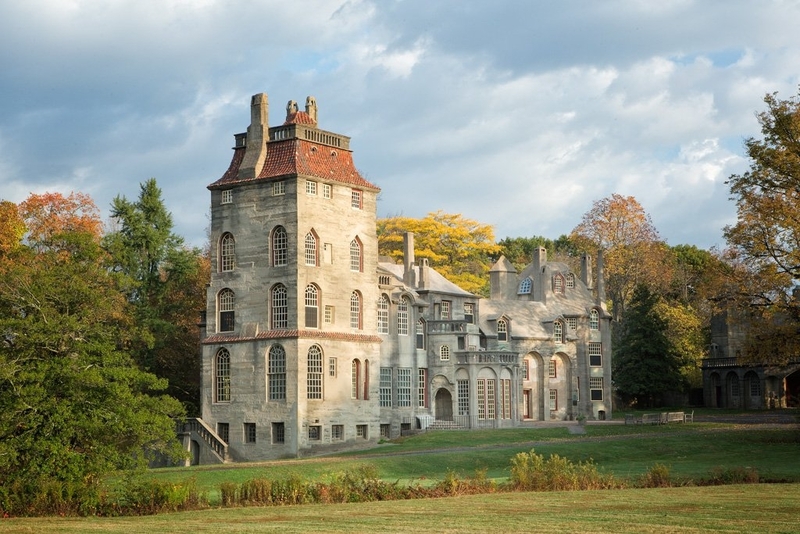 This image is from the other site of Swann Fountain, depicting the other two rivers: Schuykill and Delaware. My focus for this image was just to come up with a symmetric balance between the sculptures. One lesson learned here is to pay attention to the aperture, shutter speed, and ISO trade offs. I braced the camera on the fountain wall to get a reasonable sharpness at 1/17 second. 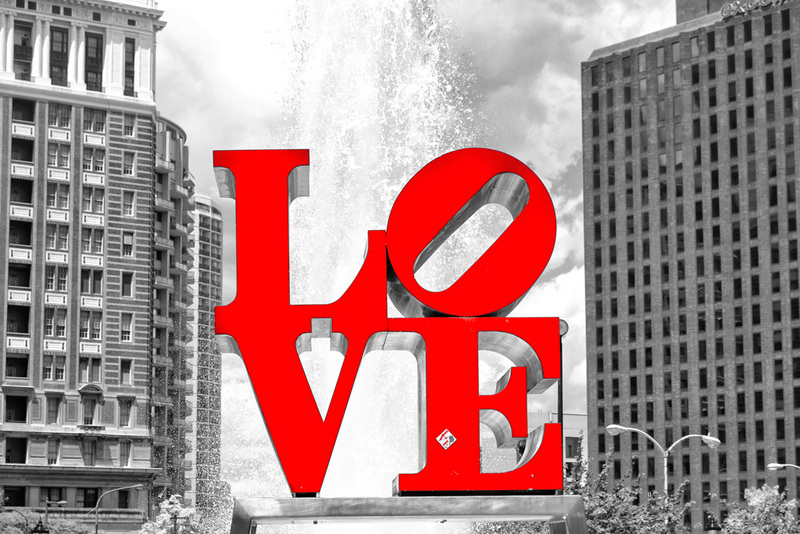 This entry was posted in B&W Photography, Details, Sculptures and tagged Philadelphia, sculptures on May 23, 2014 by kgrafphoto. Philadelphia is full of sculptures. 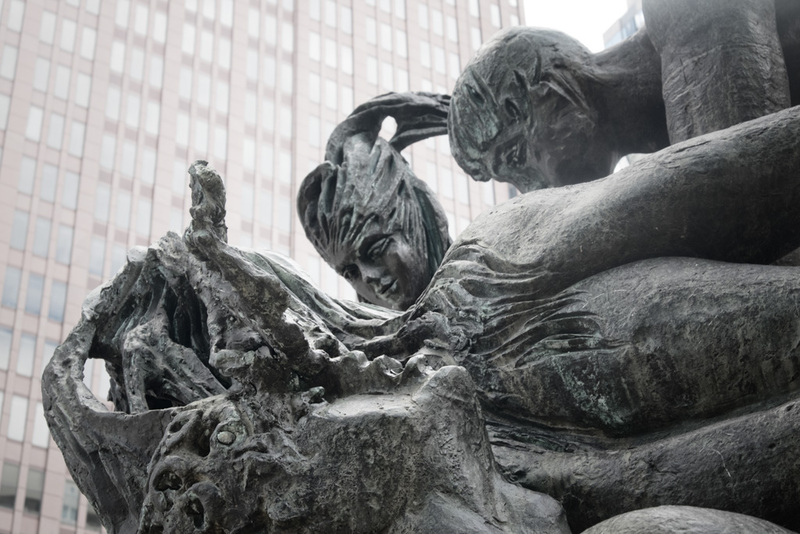 Walking around Center City, sculptures are everywhere you look. The overall sculpture draws my initial attention, but typically does not make an interesting photographic image to me. It is very difficult for me to capture the three dimensional aspects. 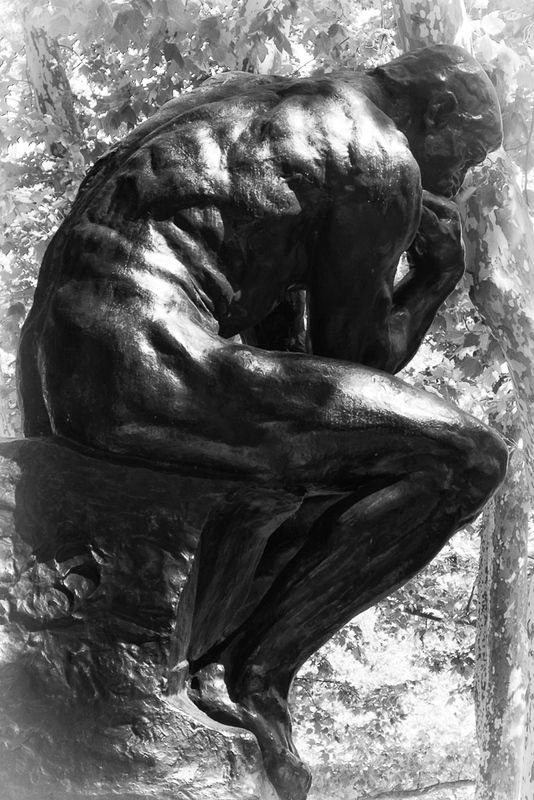 I then usually just walk around and try to get a detailed aspect and perspective of the sculptures essence. I moved around this sculpture to capture an interesting element and a “nondescript” background to frame the image. 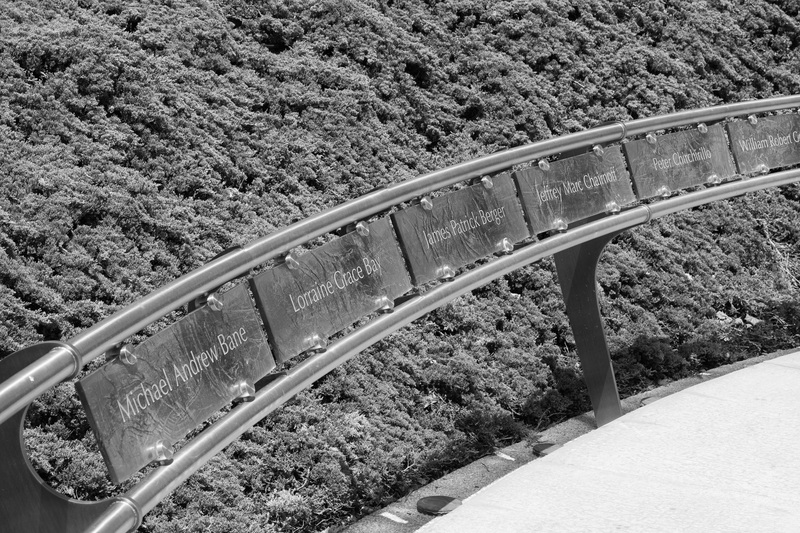 This entry was posted in B&W Photography, Details, Sculptures and tagged Philadelphia, sculptures on May 21, 2014 by kgrafphoto. 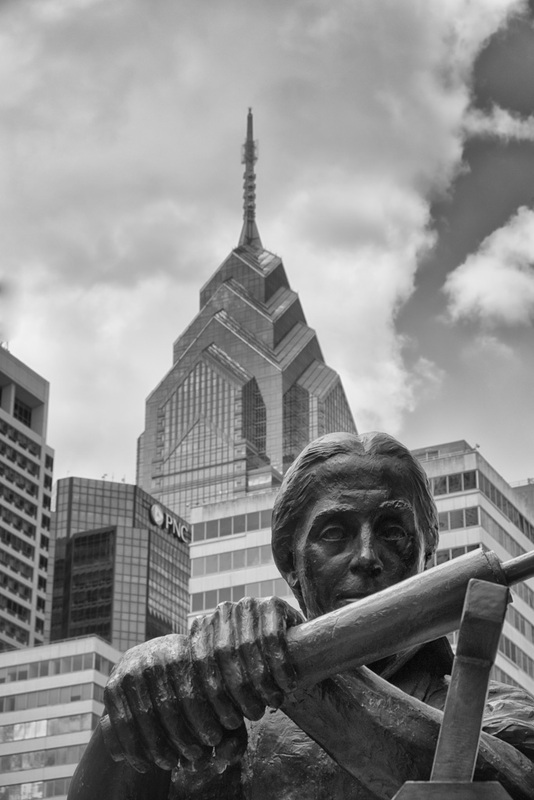 Ben Franklin, “The Printer”, provides the foreground against the Philadelphia skyline. I worked this image from multiple angles before I came up with this perspective. I had to wait patiently as other tourists posed in front of the sculpture. It was worth it. 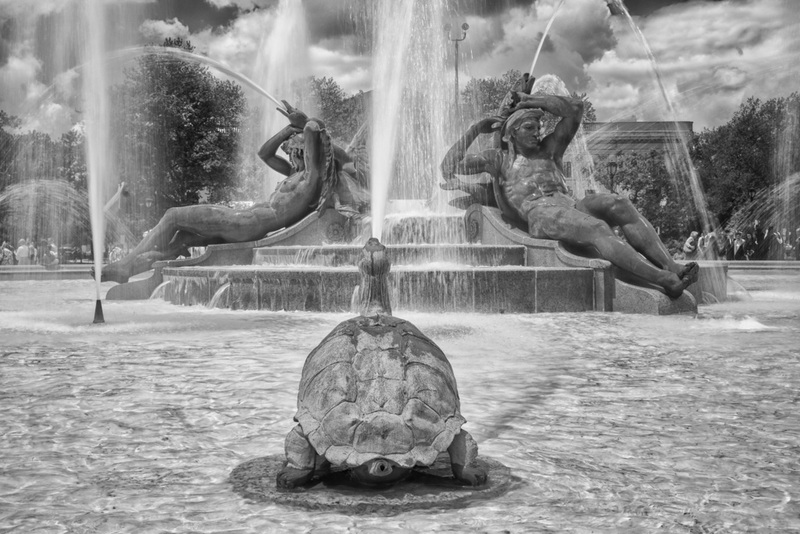 This entry was posted in B&W Photography, Sculptures and tagged Philadelphia, sculptures on May 20, 2014 by kgrafphoto. From the Air Force Memorial we shot down to the Marines Memorial. While I took several images of the overall sculpture, I felt like these two detail photos captured the feeling best for me. The above image reflects the consolidated effort required to win the battle. The expressions on the two soldiers faces shown below seem to project focus and determination. Shadows from the high noon sun hid the details on the soldiers faces. I used NIK Viveza and Color Efex Pro to brighten their faces while still maintaining the shadows and not blowing out the highlights in the rest of the image. To accentuate the structure details, darken the blue sky, and keep the patina from the bronze, I first converted to black and white using NIK Silver Efex Pro. To finish the photo, I blended the B&W version back into the color image. 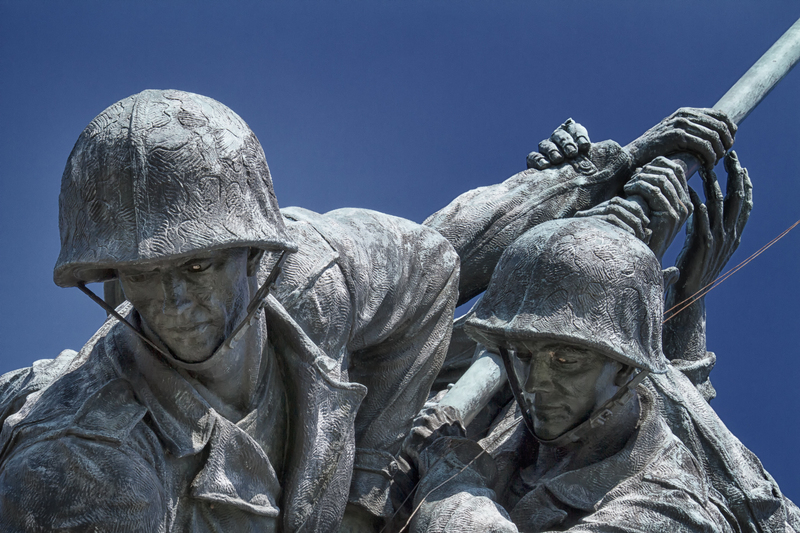 This entry was posted in Details, Sculptures and tagged Iwo Jima, Marine Memorial, sculptures, Washington DC, WDC on June 7, 2013 by kgrafphoto.